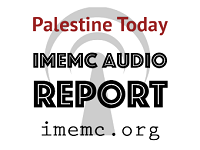 Welcome to Palestine Today, a service of the International Middle East Media Center, www.imemc.org, for Tuesday, June, 06, 2017. Israeli soldiers kill a Palestinian police officer in Gaza and injures civilians in the West Bank. These stories, and more, coming up, stay tuned. Israeli soldiers shot and killed, on Tuesday evening, a Palestinian staff sergeant with the traffic police, after shooting him in the abdomen, and injured at least seven other Palestinians. The Health Ministry in Gaza said the Palestinian, Fadi Ibrahim Najjar, 25, was shot with a live round in the abdomen, and died from his serious wounds. It added that the soldiers also shot another young man, moderately wounding him in the leg. The incident took place after the soldiers fired many live rounds at Palestinians protesting on their lands, close to the border fence, in Khuza’a town, east of Khan Younis, in the southern part of the coastal region. Furthermore, Israeli soldiers stationed on military towers around Nahal Oz base, across the border fence, east of Gaza city, fired many live rounds at dozens of Palestinians, wounding two in their legs. Medics rushed the two wounded young men to the Shifa Medical Center, suffering moderate injuries. Three other Palestinians were also shot with live Israeli army fire, east of Jabalia town, in the northern part of the Gaza Strip, after the soldiers attacked Palestinians marching close to the border fence. The three wounded Palestinians, who suffered moderate injuries, were rushed to the Indonesian hospital, in nearby Beit Lahia town. Clashes also took place east of the al-Boreij refugee camp, in central Gaza, and the soldiers fired live rounds and gas bombs, causing at least twenty Palestinians to suffer the severe effects of teargas inhalation. Elsewhere, Israeli soldiers invaded, on Tuesday at dawn, the village of Nabi Saleh, northwest of the central West Bank city of Ramallah, violently searched and ransacked homes, and fired many gas bombs at homes, during clashes that took place following the invasion, causing many children to suffer the severe effects of teargas inhalation. Moreover, Israeli soldiers invaded, on Tuesday at dawn, Beit Ummar town, north of Hebron, in the southern part of the occupied West Bank, and abducted four Palestinians, among them three siblings, including a child, and caused dozens of residents to suffer the effects of teargas inhalation. In the meantime, Israeli soldiers abducted, on Tuesday at dawn, five Palestinians in Jerusalem, two in Bethlehem, and one in Salfit, in the occupied West Bank, during extensive invasions and violent searches of homes.